So the Olympics have kicked off! As you know I’m not a sporty person, although over the past few months I’ve sailed (kind of), swum (kind of), wobbled along on a bike and strolled through forests and parkland – anywhere that promises the adrenaline thrill of a cream cake and a hot chocolate at the end of the journey. I’m actually writing this blog in the sunshine outside Konditor and Cook at Spitalfields, enjoying an apricot and honey cheesecake crumble while I wait for a networking event to start at 6pm. 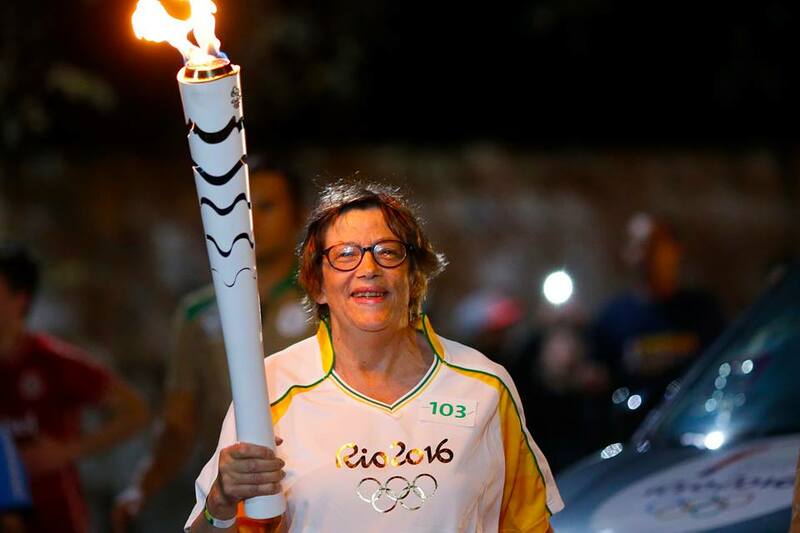 One thing that has drawn me to paying attention to this year’s Olympics was the fact that my friend and business associate Dieneke was a torch-bearer! 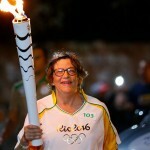 I logged on to Facebook one morning, stunned to see her smiling face holding the torch aloft as she ran through the streets of Rio. She’s an inspirational woman for various reasons and quite deserving of the honour. We worked together a couple of years ago on a special project. Dieneke ran a competition for the 1000 or so British designers that she supports through her website, Hidden Art. Mark and I had the privilege of delivering 121 workshops to the three winners – his on business strategy and mine on social media marketing. The whole thing was great fun. The formula was similar to the workshops I’ve been providing this month to growth businesses in the city, although these focused more on professional profiles on LinkedIn than general social media. One of my favourite 121 sessions this week was with a lady called Melissa that I worked with in the Tate Modern members’ room. It’s a brilliant location to meet; the view’s amazing and the cakes are delicious. After our session on social media marketing we called in to the gallery to view the Georgia O’Keeffe retrospective. It’s wonderful – if you get a chance you should go. Her landscape paintings have an ethereal quality, and the flowers for which she’s famous are highly stylised and bold, yet also beautiful, swirly and delicate. And my favourite non-work activity this week was 30 minutes of Jesus Christ Superstar at the gorgeous Open Air Theatre in Regents Park. The heavens opened that day, but Philip had the good sense to take sailing gear, so we dressed hysterically in muddy waterproofs and watched the cast battle against the elements to entertain as best they could. Consummate professionals, they sang and danced with their clothes clinging to them like a wet t shirt competition in the 80s, rain pouring down their faces. The show was called off as it became a danger for them to perform, so hopefully we’ll be luckier with the weather when we return next week. Jesus has been topical this week, as I’ve prepared my poetry for the upcoming ‘100 Madonna’ exhibition, which will be held from 5 – 18 September at the Crypt Gallery in Euston. More info to follow in due course but, if you like art exhibitions, please diarise this one – it’s going to be fab! Since writing all that, I’ve been to the networking evening – it was brilliant. Michelle Peters, a business instructor for lawyers and other professionals, arranged it with Oscar Bencivenga, owner of a gorgeous Italian menswear store in Spitalfields. 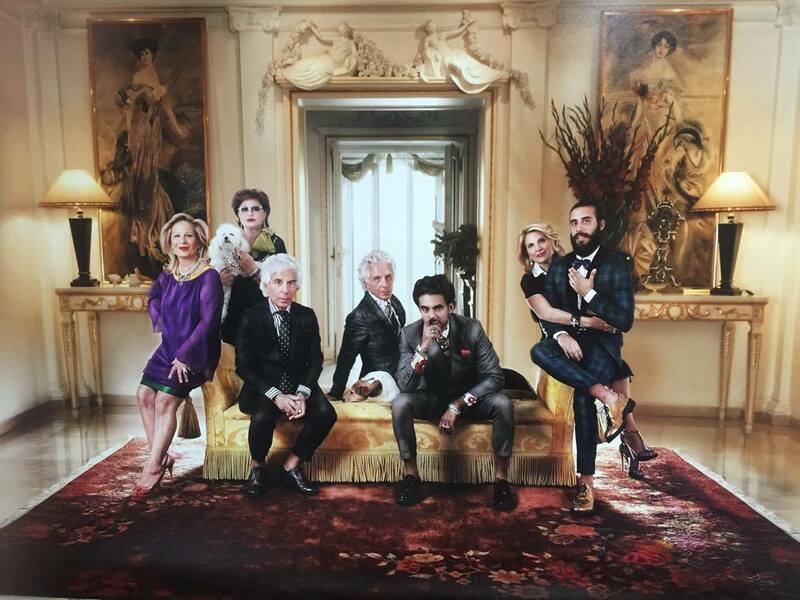 (I love the photo of the Bencivenga family almost as much as the fabulous clothes.) 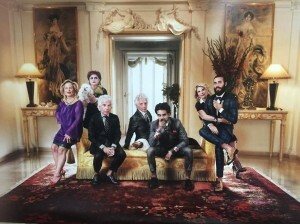 I’ll be returning with the boys – although I’m guessing there won’t be Prosecco and canapés during the working day. Could be wrong though; there’s a DJ on Friday nights during late opening hours, as the area’s buzzing and customers call in after work. Not sure if that DJ plays this, but I still do… “He’s searching, she’s showing; see him held in a deep deep spell, he knows she’s glowing. I can find within my mind a way to go… I can look deep into your light and shout ‘Hold me, hold me, hold me, hold me, hold me.” If you’re looking within your mind for a way to go with your business – and that way is forward, let’s chat about how social media can help you get there. You can hold on to clients whilst you meet new ones! 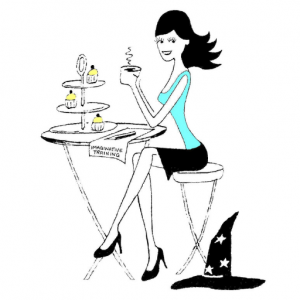 Call me to find out more, or ask me here: @WeekendWitch.